Enjoy the best inspirational, motivational, positive, funny and famous quotes by Ann Burton. Use words and picture quotations to push forward and inspire you keep going in life! 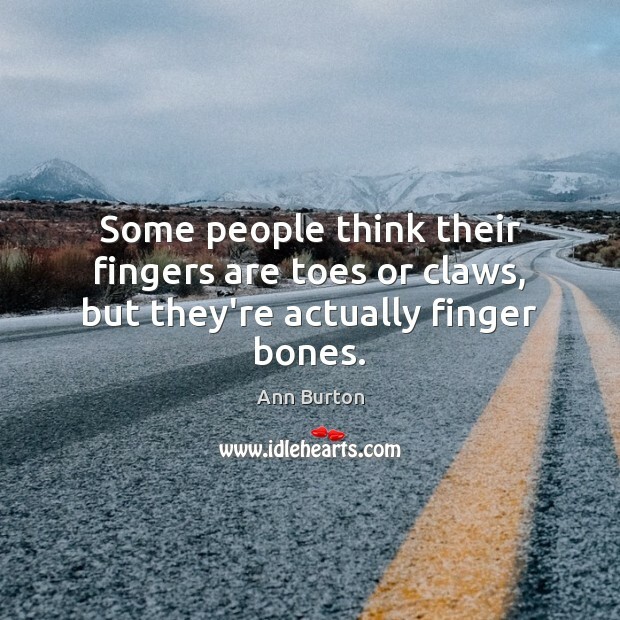 Some people think their fingers are toes or claws, but they're actually finger bones. 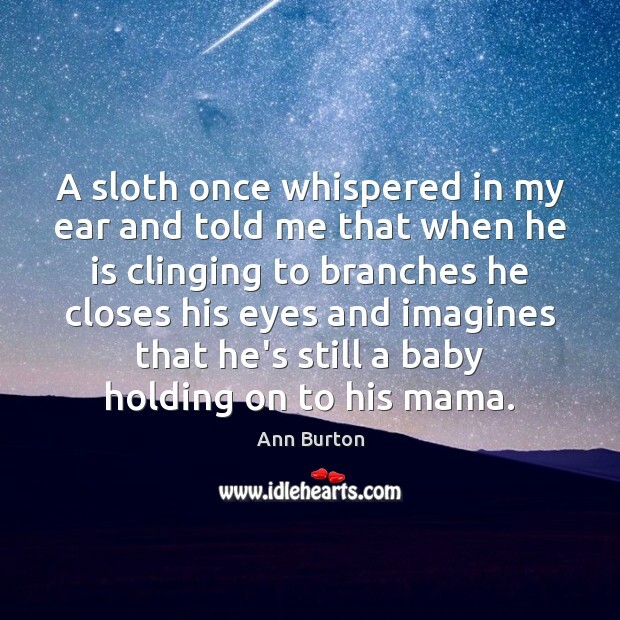 A sloth once whispered in my ear and told me that when he is clinging to branches he closes his eyes and imagines that he's still a baby holding on to his mama. 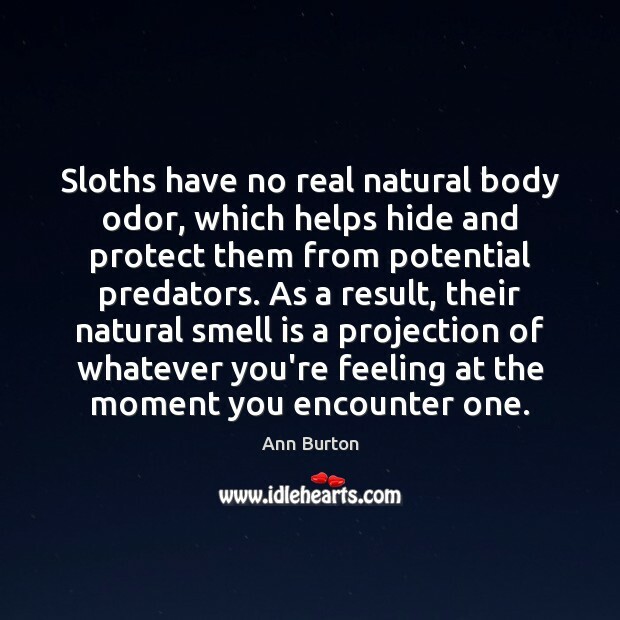 Sloths have no real natural body odor, which helps hide and protect them from potential predators. As a result, their natural smell is a projection of whatever you're feeling at the moment you encounter one. 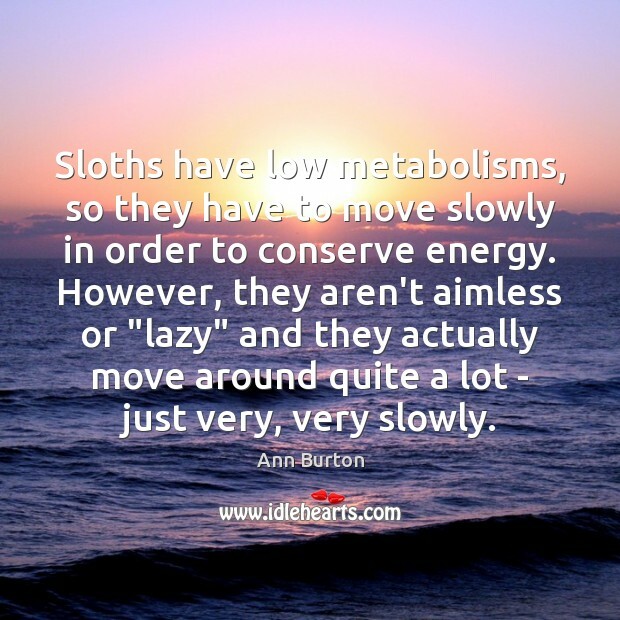 Sloths have low metabolisms, so they have to move slowly in order to conserve energy. However, they aren't aimless or "lazy" and they actually move around quite a lot - just very, very slowly. Sloths actually are like furry living ecosystems all by themselves! 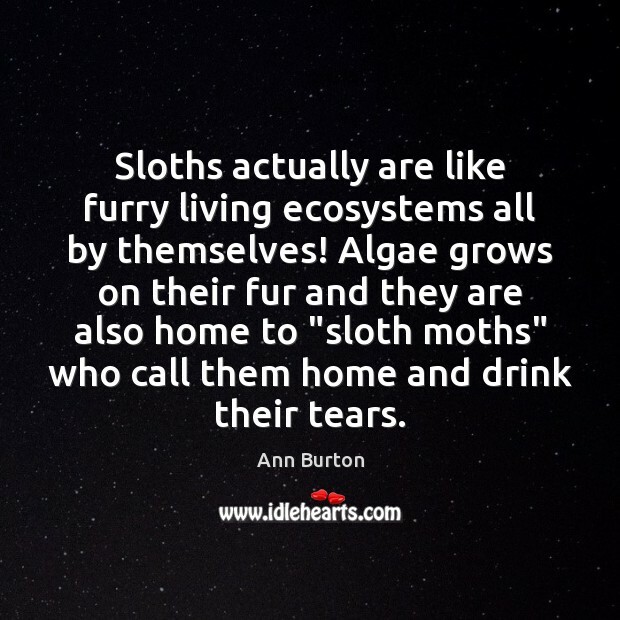 Algae grows on their fur and they are also home to "sloth moths" who call them home and drink their tears. 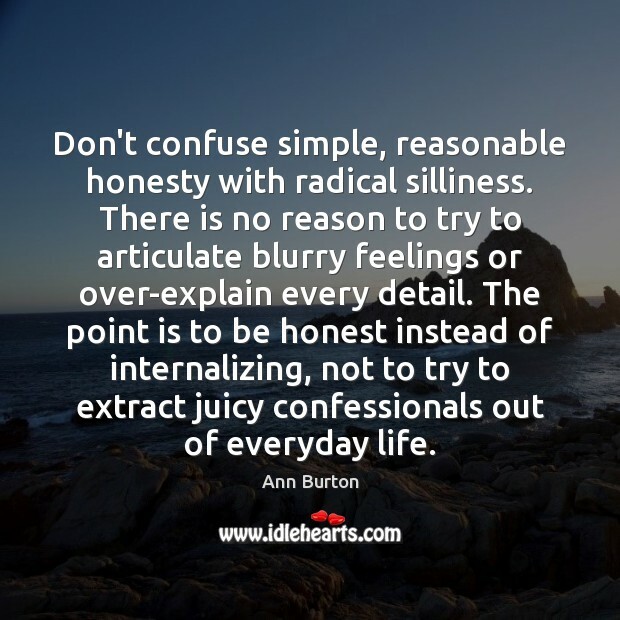 Don't confuse simple, reasonable honesty with radical silliness. There is no reason to try to articulate blurry feelings or over-explain every detail. The point is to be honest instead of internalizing, not to try to extract juicy confessionals out of everyday life. 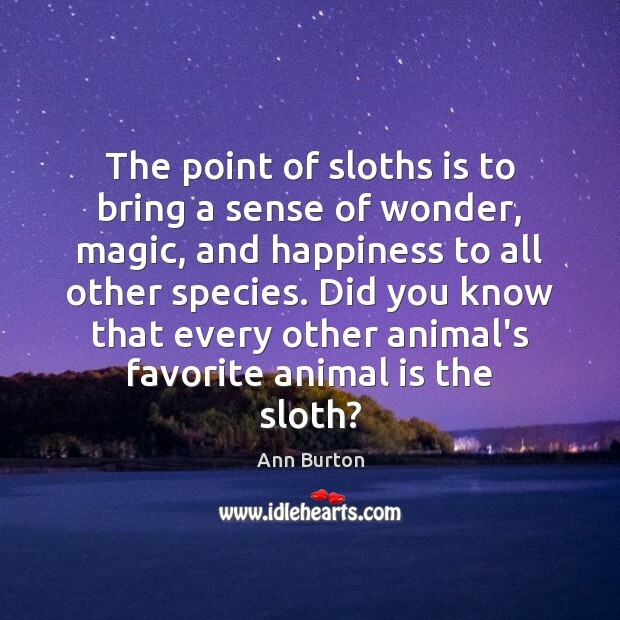 The point of sloths is to bring a sense of wonder, magic, and happiness to all other species. Did you know that every other animal's favorite animal is the sloth? 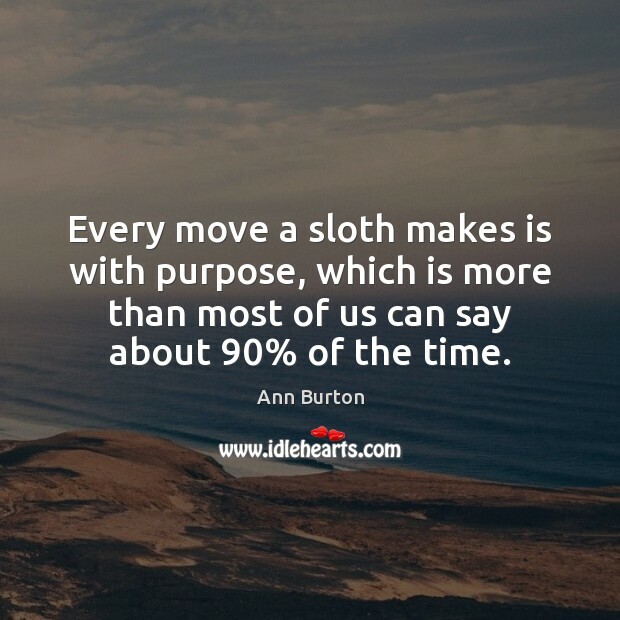 Every move a sloth makes is with purpose, which is more than most of us can say about 90% of the time. 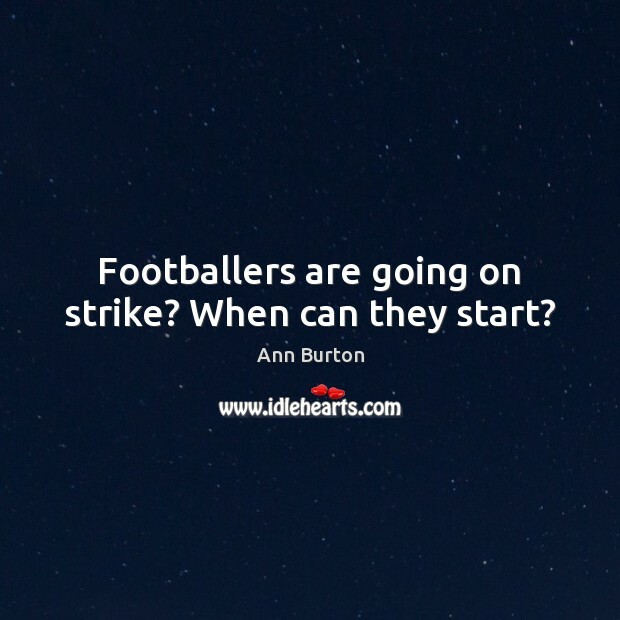 Footballers are going on strike? When can they start? 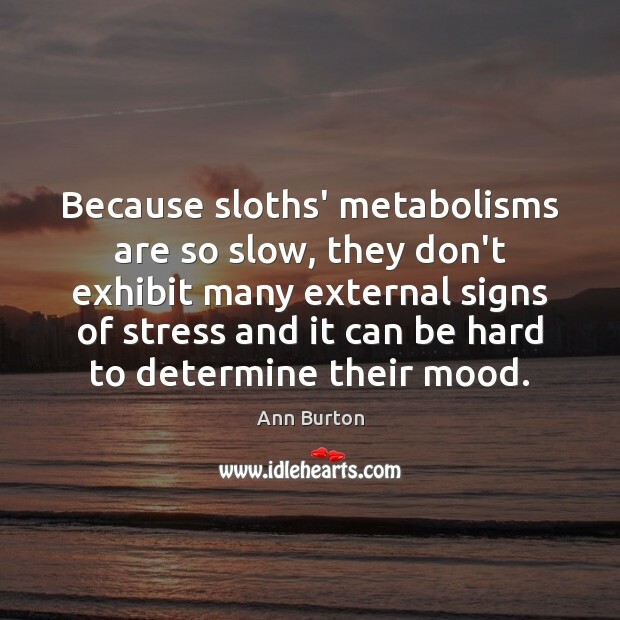 Given that you're meeting a sloth, that feeling is generally joy, excitement, warmth, and love. What do those feelings smell like, you ask? Like laundry, watermelon rind, the top of a baby's head, boiling water, and fresh cut grass all mixed together.